Skin Care Treats for Valentine's Special! 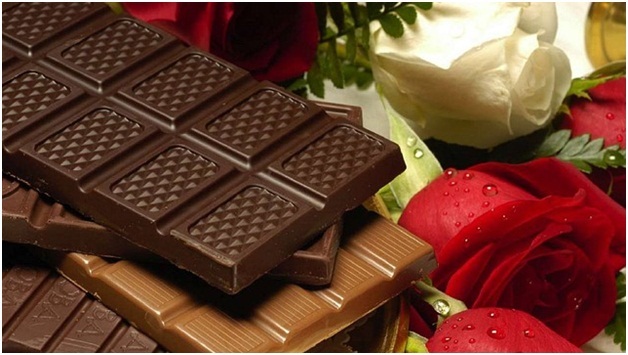 Nothing says ‘Happy Valentine's Day’ more than juicy strawberries, rich chocolates, and fragrant roses. But that's not all they do. These sweet and aromatic treats, while a delight for the heart, are also perfect for some delectable skin care in this season of love. So, before you bring out those hot rollers and put on the perfect cat-eye make up, consider swathing your skin in the season’s favorite treats to get that killer glow for an evening of V-Day fun, frolic and romance. When it comes to Valentine's Day, you can't go wrong with roses. As a skin care ingredient, this robust flower works wonders for your complexion. It is packed with antioxidants, Vitamin C, and essential fatty acids that help reduce fine lines, wrinkles and dark spots. Rosehip oil, extracted from the fruit of the rose plant, has anti-inflammatory properties. It soothes irritated skin and damaged skin while also restoring elasticity. 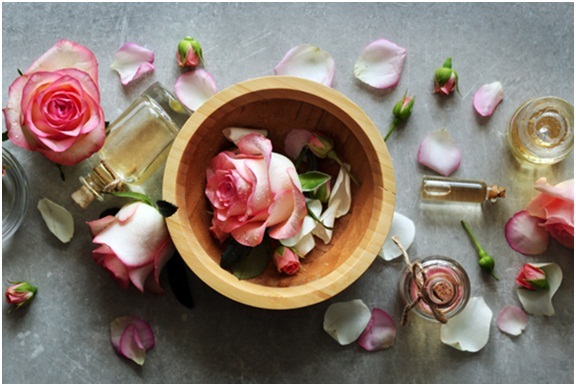 So prep your skin with a hydrating mask made of rose petals before you head out for the night. Or slap on a rosehip oil DIY mask made from yogurt, honey, and turmeric to get that silky smooth skin. After all, who doesn't deserve to be showered with roses on Valentines Day, right? A big box of chocolates is yummy, but that’s not all they are. Those delicious bonbons are meant to be savored, but aside from pleasing your palate, this favorite symbol of love and romance can give you luscious lips and glowing skin too. Infused with a healthy dose of antioxidants and bioactive compounds, chocolates can make your skin smooth, hydrated, and youthful. The flavonols present in them protect your skin against sun damage, improves blood and increases skin density. So, go on, whip up a quick masque by mixing melted dark chocolate, yoghurt, and honey and slather it all over your face. Or, mix castor sugar, olive oil, and cocoa powder and give your lips a nice rub with them every few days to make them soft and supple. Up all night planning the perfect Valentine’s for your darling? How do we know? Well, those dark circles and dull skin are a dead give away! Lucky for you, not only are strawberries a tasty and romantic treat, they're also rich in vitamins, nutrients, antioxidants, and alpha hydroxy that are incredibly beneficial to the skin. 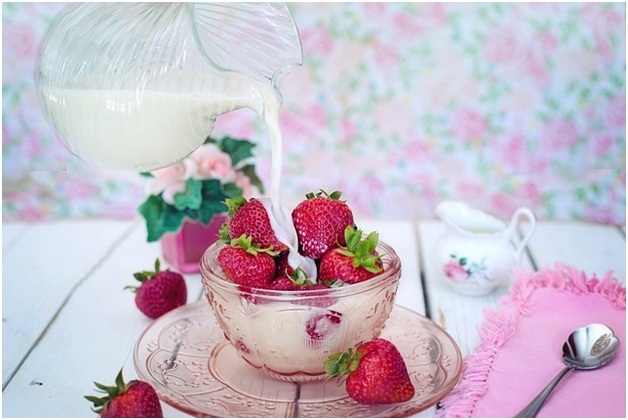 Thanks to their astringent properties, strawberries help reduce puffy eyes and maintain a youthful glow. Oh, and did you know that strawberries contain more Vitamin C than oranges and grapefruit? Or that Vitamin C helps fight free radicals that are responsible for fine lines and saggy skin? So gorge on them tasty berries to stall the signs of ageing while celebrating an incredibly romantic Valentine’s Day with your partner. Or whip up a moisturising face mask by mixing mashed strawberries, honey, and fresh cream for skin that looks younger than you are! 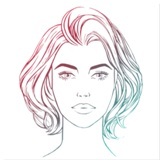 Looking for an au naturale way to get a killer pout this V-Day? As it turns out, this aromatic spice is one of the main ingredients in lip plumping products. 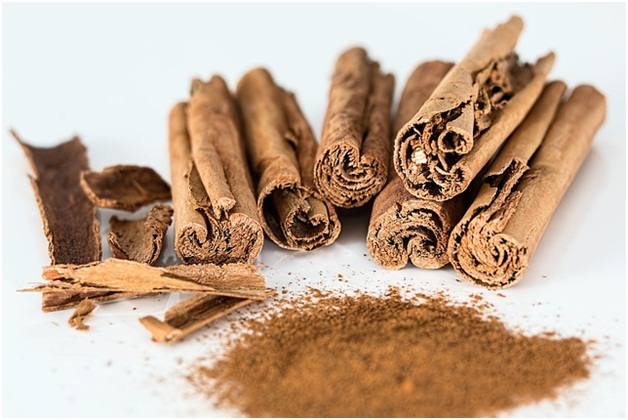 That’s not all, cinnamon can help reduce acne, open the pores, and increases blood circulation, giving you a soft, rosy glow. So, the next time your acne decides to make an appearance, try this quick DIY mask by mixing honey and cinnamon to keep those breakouts at bay. Valentine’s Day isn't just about you and your partner. Your skin deserves extra love and care too. Pamper your skin with these indulgent skin care treats to help you ace that Cover Girl look for the big date night. And don’t forget to have a great time!